WPC makes a humble tribute to legendary singer Kanika Bandhopadhyay's 91st birth anniversary. We recall the life and works of this great persona. 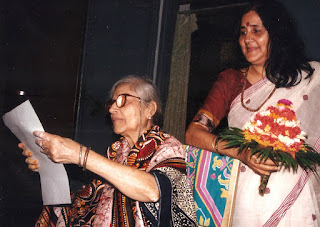 Bithika Mukhopadhyay, the younger sister of Kanika Bandhopadhyay, goes down memory lane to revive the most unknown facts about our loving Mohor. The editor of Mohor, so far the most authentic publication on life of this legend, Sumita Samanta helps Mukhopadhyay on her way. Some excerpts from the interview. the last days of her life. 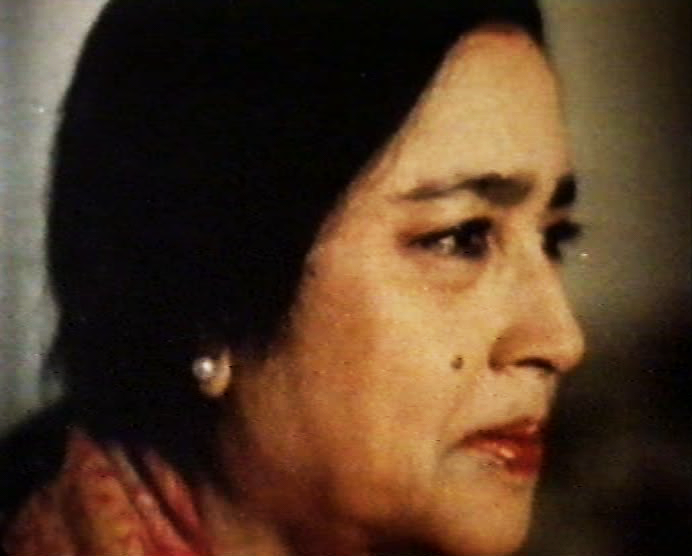 She and her husband Biren Bandyopadhyay were the guardians of the family. We used to look up to them for everything. Didi and Birenda used to live in Cheena Bhavana. All the rest of our brothers and sisters used to visit them regularly. In those days, Gurupally was surrounded with open green fields. I can still remember didi coming down to our house crossing those vast open fields. Bithika: Didi was extremely sensitive about the family and never ignored it for anything. She actually discharged the duty of our elder brother. She guided us all. You can say that her life was dedicated to two things—music and family. Not only for our generation, she had also done a lot for the family’s future generation. She loved all of us and did everything she could. Another thing is that she inspired all of us to sing. Her voice was so divine that we could not even realized that when we all started loving music automatically by hearing her soulful renditions. Bithika: Didi came in touch with Gurudev when she was merely eight or nine years old. Tagore liked her voice very much. Didi used to get invitation for singing with much older people all the time. She joined the Sangeet Bhavana after passing the school leaving examination only. Bithika: In early days people like Suchitradi (Mitra) and Dwijenda (Mukhopadhyay) etc often visited didi. They all requested my mother to prepare good cuisine. Those were wonderful days. Birenda was a writer and his fellow writers and friends also came to meet didi. She had great rapport with writers like Santosh Kumar Ghosh and Gour Kishore Ghosh etc. It was like a long extended family. Didi not only had a close relation with Rabindra Sangeet singers. She was in touch with artists like Sandhya Mukhopadhyay, Shyamal Mitra, Gayatri Basu, Alpana Bnadopadhyay too. Bithika: I went to Bombay with didi to visit Salil Chowdhury. Antara (Chowdhury) was just a kid then. We went to Salilda’s house there. The two had great relation. Salilda had composed "Prantorer Gaan Amar" for didi but unfortunately the idea did not materialise. Sumita: On lighter moments from Kanika’s life. Bithika: Let me share a hilarious incident with you. During a Poush Mela session one day Debabrata Biswas, our loving Georgeda, came to didi’s Nichu Bangla residence. He came and announced “Mohor ailam” (Mohor I am here). Didi’s house was filled with a number of guests and there was no place for anymore. When Georgeda came didi told him that. But Georgeda was in mood to leave. He just sat beneath a big tree in front of the house and declared that “Ami ekhan theke norum na” (I’ll not move from here). After a few hours didi discovered Georgeda still sitting there. She came out and asked him to come inside. Georgeda was very happy and said “Ami jantam ami jantam” (I knew it). Today, we cannot imagine such simplicity from any artists. Another incident I must narrate. One day, some robbers were caught from didi's house. When she came to know about that she not only freed them but also offered them juice! Didi was extraordinarily kind hearted. Bithika: I accompanied her to Europe in 1976. We went to Switzerland, Sweden, Germany and Copenhagen. We did a number of programmes there. During a concert there didi sang “Tobu Mone Rekho”. Though most of the listeners did not know Bengali but I saw many of them breaking into tears after hearing this particular song. Didi was crying too. Thanks to didi people started recognizing me as a singer too. People liked my “Amar Mallika Bone” so much that they started calling me Mallika. Bithika: No she didn’t do that regularly. In fact, she has written somewhere that the best way of practicing for her was teaching music. She was completely engrossed in music. She used to live and breathe music. Sumita: On Kanika’s role in setting up the Elmhirst Institute for social welfare. Bithika: Didi used to go to various remote villages and teach tribal girls there. When my husband, Naba Kumar Mukhopadhyay, came up with the idea of setting up the Elmhirst Institute she and Birenda joined us immediately. In fact, didi was the founder Chairperson of the Institute. The foundation stone of it was laid by the great Ravi Shankarji. By then didi had already stopped appearing in public functions but teaching was on. Actually, didi knew where and when to stop. Didi was deeply attached to social welfare and donated her house for the Institute. She used to stand beside every distressed woman and I even saw her counselling them. Bithika: Santhal girls used to come to learn music from didi regularly. One day she got a letter from Satyajit Ray, requesting her to arrange a scene of Santhali dance for Agantuk. Later, the whole cast and crew visited didi’s place and the scene of Mamata Shankar dancing with Santhali girls was rehearsed in a field in front of didi’s residence. Didi went all the way to Goalpara to watch the shooting despite a weak health. 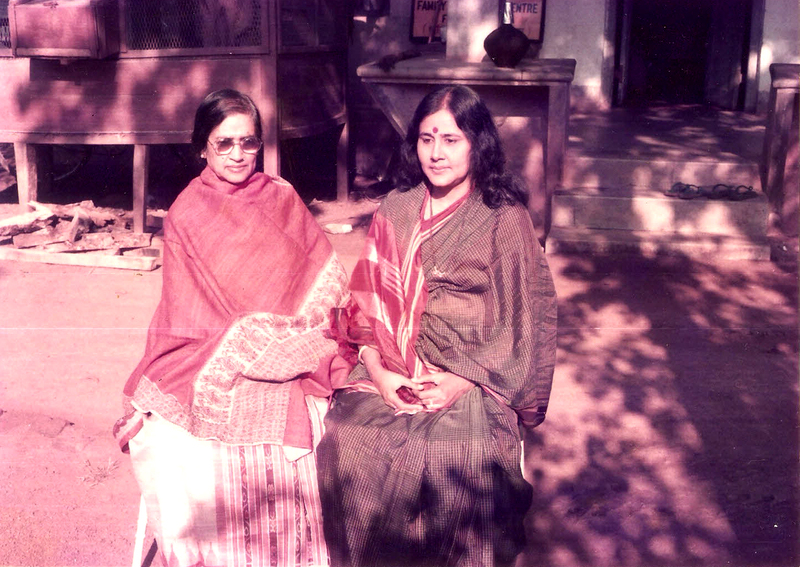 Bithika: Didi had learnt music from both Sailajada (Sailajaranjan Majumdar) and Shantida (Shantidev Ghosh). She, however, preferred Sailajada’s style as a singer. She had a soft voice and sensitive style of throw. Fortunately, her style of music has been later recognised as the traditional gayeki of Shantiniketan. Bannya (Rezwana Choudhury Bannya) and Banani Ghosh are carrying her legacy forward. The other trend is also popular. Bithika: I never saw anything like that in my life. They were good friends but completely different personalities. They used to chat for hours whenever they met. I don’t know why people make up such stories. There was no clash between the two.